Bengali New Year (Noboborsho) or Pohela Boishakh is the first day of the Bengali calendar.Pohela boishakh are celebrated in both Bangladesh and West Bengal. And also in all Bengali communities all over the world. Boishakh connects all ethnic Bengalis. This pohela boishakh paragraph is written based on those tradition that the Bangla had. The first day of Bangla year is called Pahela Baishakh. We observe this day to indicate the opening of the 1st day of Bangla New Year. The day rejoices with folkloric celebrations over the country. The country people prepare Baishakhi Mela on this day. Merchants open halkhata and offer sweets to their consumers and buyers. The day has a unique attraction for the city people. They awake early in the morning. They put on their best clothes that is payjama and Panjabi. They take panta rice with fried pepper. In the town, many organisations plan a meeting, seminar, symposium, discussion etc. Different social clubs organise various kinds of cultural gatherings. 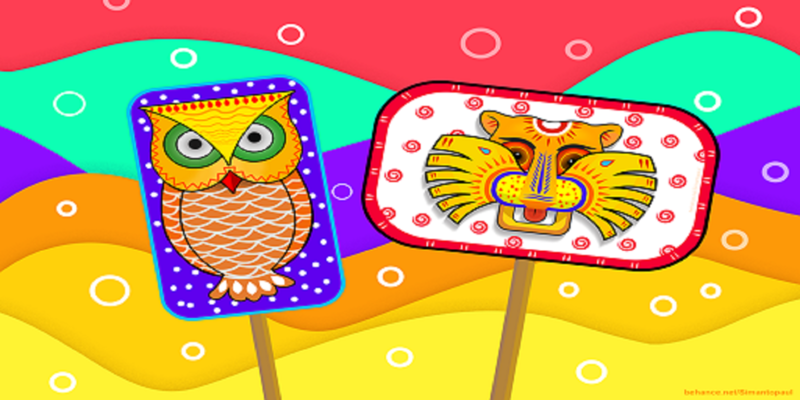 Pahela Baishakh has great importance. It indicates our age-old ritual and history. It bears the declaration to the fact that we have a taste of our own. It is a sign of our social culture. Pohela Boishakh is the first day of Bangla year. In fact, it is the day of greeting the Bangla New Year. The ceremony of this day is an essential part of our history and culture. So, the day is marked with common festive over the country. People in villages observe this day according to their common rules. Special meals are prepared at home and Baishakhi Melas are held in different places. It is a day of big fun for the village people and kids. City residents also rejoice this day with joy. Girls and women wear yellow sarees and boys wear pyjama-panjabi. Some people eat watered-rice with onion, green chilli and Hilsha fish. Store owners both in villages and cities open current record book named as Halkhata and share sweets among their shoppers and consumers. In Dhaka, people visit the ‘Gono Sangeeter Ashor’ at Ramana Batamul in the morning. Various cultural groups offer many performances. The observance of Pohela Boishakh carries great importance for us. The day, therefore, goes by. It is stated by catching and enjoying joyful programmes and gatherings. Now it has crossed the national borders because is celebrated by the Bengalis residing abroad. I usually put on pyjama-panjabi on that day. I besides eat watered-rice with onion, green chilli and Hilsha fish. Then I go out walking. The Pahela Boishakh is the first day of the Bangla new year. This day has great significant place in Bangalis’ past and culture of a thousand years. This day is celebrated with folkloric celebrations everywhere in the country. 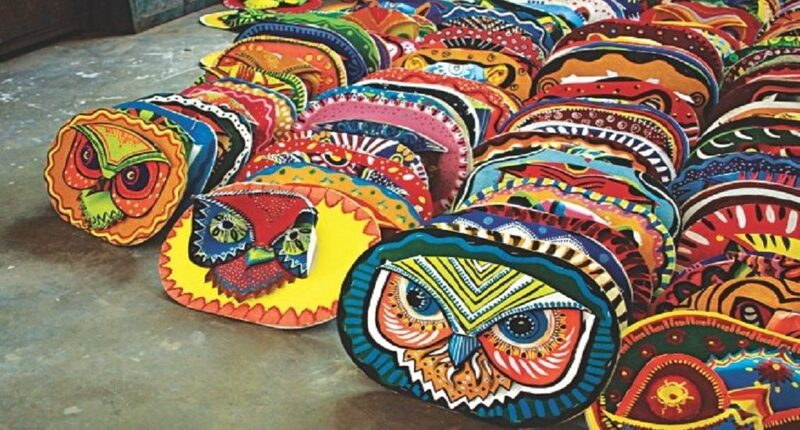 The season of the Pahela Boishakh has become a nationwide festival for its great value and importance. People -celebrate the day with excellent joy and interest. Both men and women consumed a colourful new dress to celebrate the day. They also make pitha and organise different cultural and recreational activities. It is a government vacation. In keeping with the age-old culture, merchants and storekeepers open halkhata and give sweets to their customers and buyers. Different socio-cultural groups celebrate the day with fancy performances. Chhayanat, a chief, cultural organization, begins the day’s first presentation at Ramna Batamul at dawn. The state dailies bring out unique supplements while Bangladesh Betar and BTV cast particular shows. The students of the IFA. of Dhaka University traditionally bring out a colourful parade. There are variations within the urban and rural festival of the day. In the urban areas, people experience the concert, folk dancing and many types of foods such as panta-hilsha and pitha. But in the country areas, there are many new year exhibitions in the hats and bazars. Farmers, dealers and young boys and girls are more excited to feast the day. Puppet play attracts the youngsters most while the adults experience stick fight. People of all ages like circus and merry-go-round. Women crowd to buy metal ornaments, tools and show-pieces. In some areas of the country, people organise boat races on the brink of Pahela Boishakh. Housewives in the well-off families cook tasty meals. The poor parents -also try to observe the day with their own medians. The importance of this day is incredible. The term ‘Pohela Boishakh’ in Bengali describes ‘Pohela’ as ‘First’ and Baisakh is the initial month of the Bengali calendar. ‘Nobo Borsho’ which pointed to the Bengali New Year, started from Sanskrit Nava and Barṣha or “The First of Boishakh” (Bengali: পহেলা বৈশাখ Pôhela Boishakh). The Bengali Calendar is taken from the Hindu Solar Calendar. The introductory point of the Bengali era is likely to be Monday, 14 April 594 in the proleptic Gregorian schedule. King Shoshangko of old Bengal, who led just about within 590 CE and 625 CE, is identified as beginning the Bengali period. Pohela Boishakh observed in both Bangladesh and West Bengal, and in Bengali areas such as in Assam, Tripura and Odisha and anywhere Bengali communities stay. Pohela Boishakh combines all ethnic Bengalis irrespective of spiritual and geographical diversity. 14 April is celebrated as Pohela Boishakh as a public Holiday in Bangladesh, according to the standard amended calendar invented by the Bangla Academy. In India, in West Bengal and Assam, it is a public anniversary and is openly observed in mid-April. Pohela Boishakh is the day of artistic celebration. It is a day that symbols the aesthetic unity of our souls. Differences due to class or spiritual connections are forgotten. Pohela Boishakh recreations the heart of the innocent, rural origins of the Bengal. Young women clad in white saris with red boundaries while men clad in dhoti and kurta or Punjabis. Long Probhat Pheri parades set out first in the morning to embrace the first day of the year. The Dhaka University areas are richly decorated in colourful street drawings by the Scholars of Charukala. Panta Illish is a Pohela Boishakh food. This usual plate of extra rice soaked in water with fried Hilsa, with fish (Shutki), pickles (Achar), pulses (dal), green chillies and onions is a very traditional food for the Pohela Boishakh celebration. Boishakhi Melas (exhibitions) are organized all over Bangladesh wherever people to enjoy the Bengali music through parties, stalls of craft, song, clothes, meals etc. It is unexceptionable the Pohela Boishakh is a necessary part of our history and culture. The day is celebrated by all as people from all come commonly on the joyful moment of the Bengali New Year. Pohela Boishakh carries an explanation to Bangladesh’s history of variety and inclusiveness and addresses it a festival that actually takes together the people of this country in unity and peace. But current affairs in our country show that there are those who would like to have this great idea soiled. The new increase in militancy in the nation has suffered many and has shown itself as a point of discussion among the people of this country. These forces take peace-loving beliefs, beliefs which have co-existed for hundreds in these countries that are now Bangladesh, and use them in an effort to leave us, and generate friction amongst the people of the country. They would like zero more than for us to forget the different practices which have committed to the origin of this state, and which proceed to offer to its remarkable increase. Let’s rejoice the Bengali New Year in recognition of our origins, and with the belief that Bangladesh will not drop down to the powers of extremism. This is a chance for us to show the whole world, and us, that we are 1 people, united by one given history, and one given belief of hope, passion, and love.